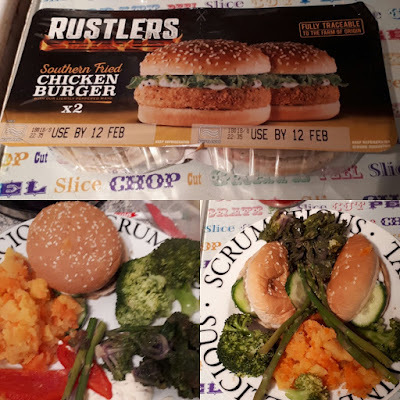 I was set a challenge to see what meal I could make with Rustlers Southern Fried Chicken Burgers this week, and I chose to do a healthy option! Chunk does at least three clubs a week at the moment after school, so I am always rushing about trying to find quick, but healthy meals to cook. His first words to me are not "Hi Mum" it's always "I'm hungry" so quick and easy meals are always are winner for us. Rustlers do a range of burgers which take just 90 seconds to heat up in the microwave, so they're the quickest meal I've ever made! Chunk loves burgers, but I am not a fan of always having them with chips and beans, so I tend to try and think outside of the box. This time around our 'chips' were asparagus, and I added mashed up carrots and swede, kalettes (they derive from sprouts and kale and taste so good), broccoli and red pepper. We had hummus and mayo on the side to dip our 'chips' into and to add to the burger. All of the veg took less than twenty minutes in the steamer (I cannot stand boiled veg, steaming makes them taste soooo good) so it was a nice a quick meal which was pretty balanced nutritionally. The burgers are quality chicken marinated with a southern fried breadcrumb, which seems to be a lot healthier than some of the other microwaveable burgers I've seen in the shops. Next time I may use salad (cucumber, tomatoes, lettuce, spinach, carrot stick chips) which will be even quicker than steaming veg, and just as healthy! How would you hack your burger? 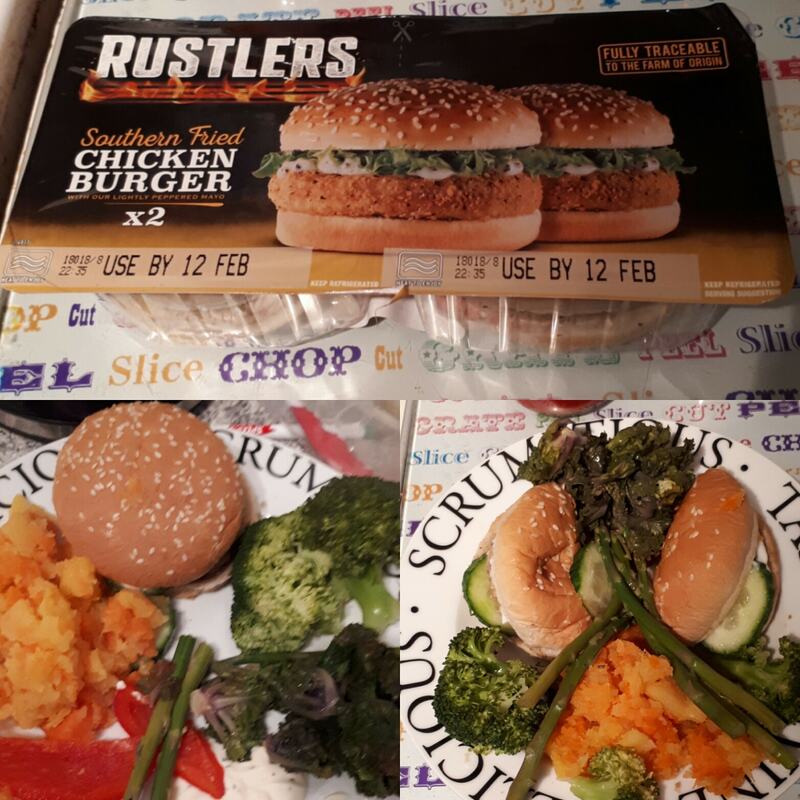 This post is an entry for BritMums Rustlers Burger Hacking Challenge, sponsored by Rustlers. All opinions are honest and my own. Great alternative to chips. Good to hear how you got on. Commenting for myself and on behalf of BritMums and thanking you for taking part. Thanks so much for taking part. Commenting for myself and on behalf of BritMums.